Most of the Facebook users would have noticed various websites promoting Acai Berry diet products. Sometimes, even our friends recommend Acai Berry advertisements on Facebook. However, think twice before you click on those links. If you do, you end on some diet supplement scam page. He added that it was understandable that automated bogus messages wouldn't forget the link in the first place. And secondly, humans would rush to correct their error with comments saying "hehe." The expert said that short links like: goo.gl URLs have been used in the campaign and seem to have redirected to URLs. 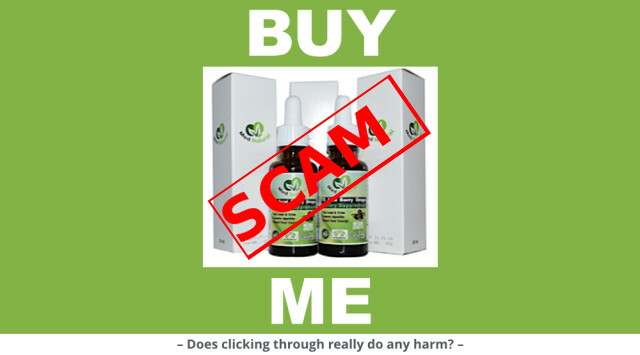 “If you click through to the buy page and check the very limited disclaimers and FAQs there, you'll find that the product only helps you to lose weight if you combine it with a diet specifically designed to make you lose weight. So, assuming that you spot the scam for what it is before you fill in your credit card number on the buy page, and bail out, you should be OK,” he added. “Don't buy, don't try, don't reply,” he wrote. • Is your computer patched and up-to-date? • Is your anti-virus up-to-date and running properly? • Has someone else been logging into your accounts? • Did you use the same password on multiple sites? • Have you authorized any apps to access your social media accounts?